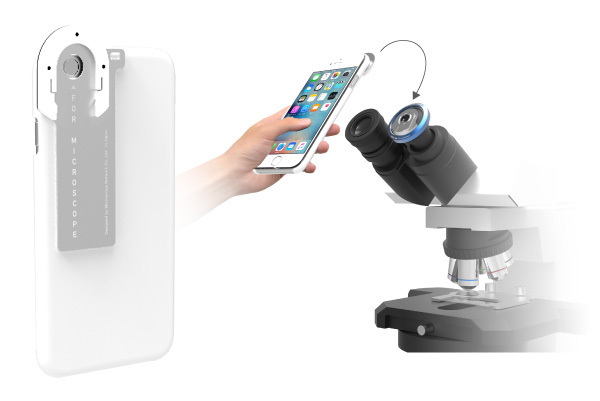 High Quality and High Resolution Microscope Image with iPhone ! distortion/aberration as well as light/shade contrast between center/peripheral area of the image. 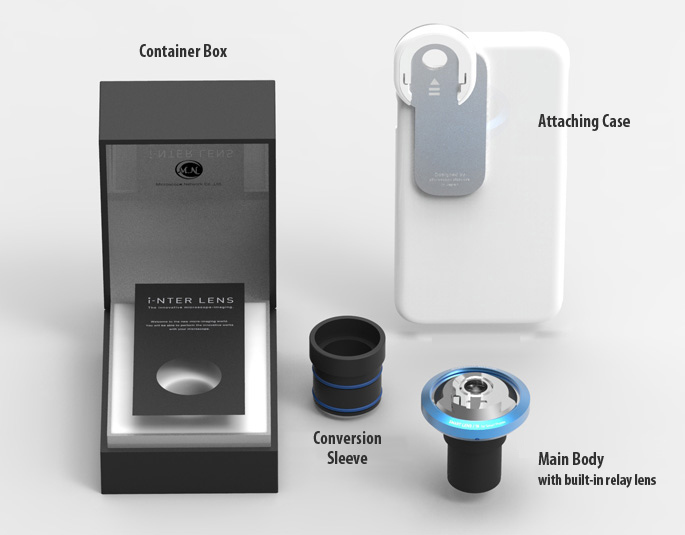 Bright and high resolving i-NTER LENS lens system bring out full performance of 12MP iPhone camera. 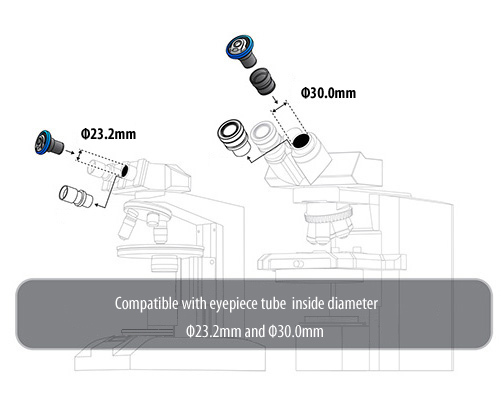 Installed to eyepiece tube of various microscope models. 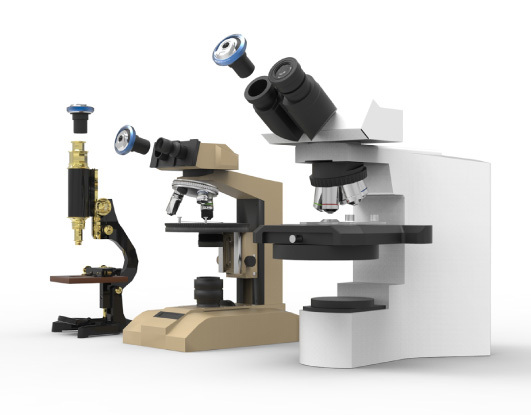 Opening a new era of microscope imaging ! 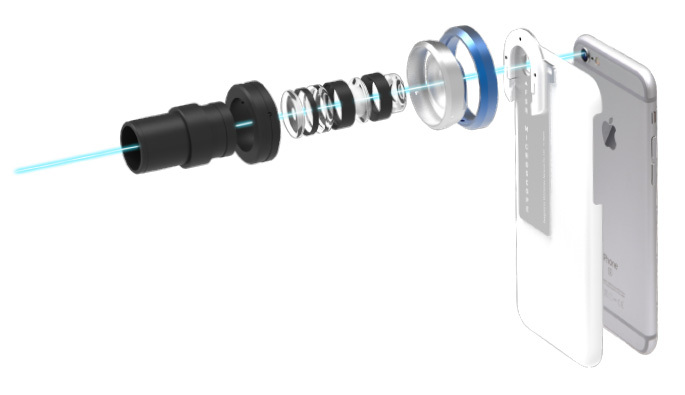 i-NTER LENS is optical adapter specifically designed to optimize both i-Phone rear camera and microscope. 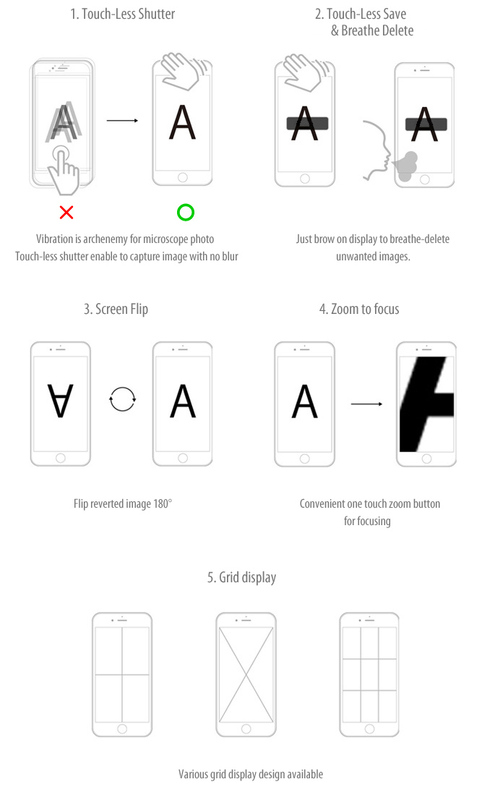 Full screen display with no visual field defect. smooth and stress free microscope imaging can be achieved. 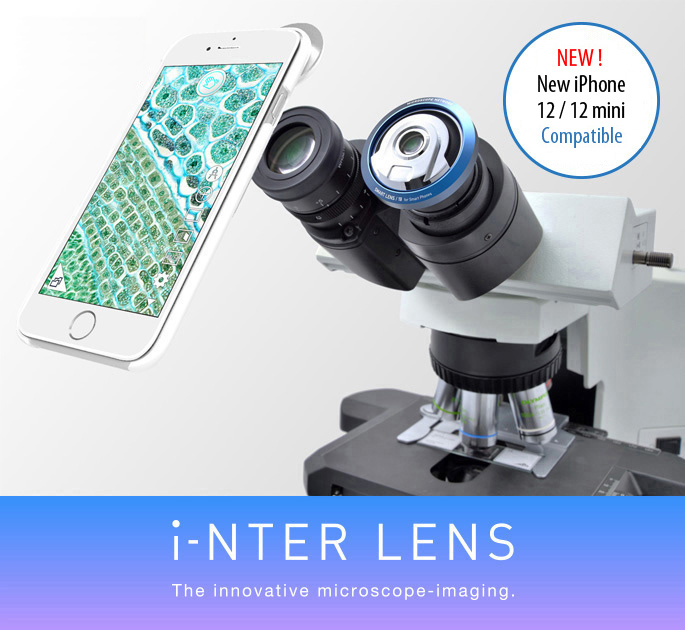 Original App [i-NTER SHOT] would support microscope imaging with i-NTER LENS. be achieved with regular camera App. 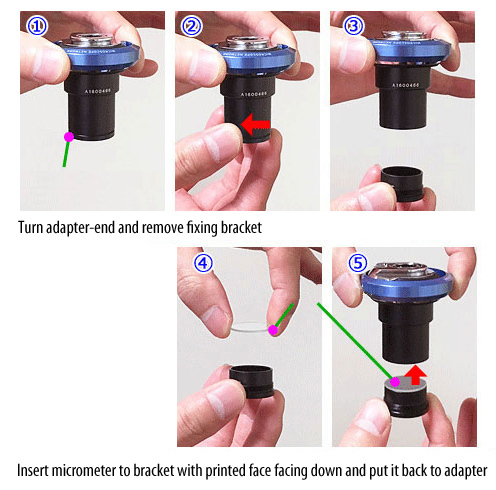 Also, it can be installed to C-mount as well with an optional sleeve. Together with Apple TV device and Wi-Fi environment, live image captured on the iPhone can be sent out to PC or TV monitors wirelessly. ** Please purchase apple TV directly from Apple or other distributor. Wired connection with HDMI cable is also available. VGA connection is also available. ** Please purchase directly from Apple or other distributor.